I’ve had more time to play this week. The tree was stitched with 2 DMC perle 8 threads simultaneously, for the trunk and branches. The branches are also Sheaf stitched but I very loosely laid them and banded them close to the top of the trunk. The fronds? were done with DMC variegated thread. Top row left- 8 ply wool. Right-pink chenille which I found passed through the cotton toweling very well. I expected it to disintegrate. Brown velvet ribbon couched with a fine cotton. Purple Mill Hill beads -not a good example and I needed Nymo thread for the fine holed beads,. and lastly pink crochet thread with beads. 3 strands of DMC, loosely bound, combined with fly stitches, beads, Fargo roses and a few Detached Chains. Though we are well on the way through the year with Tast 3, there is always the option to join in and learn from past work. 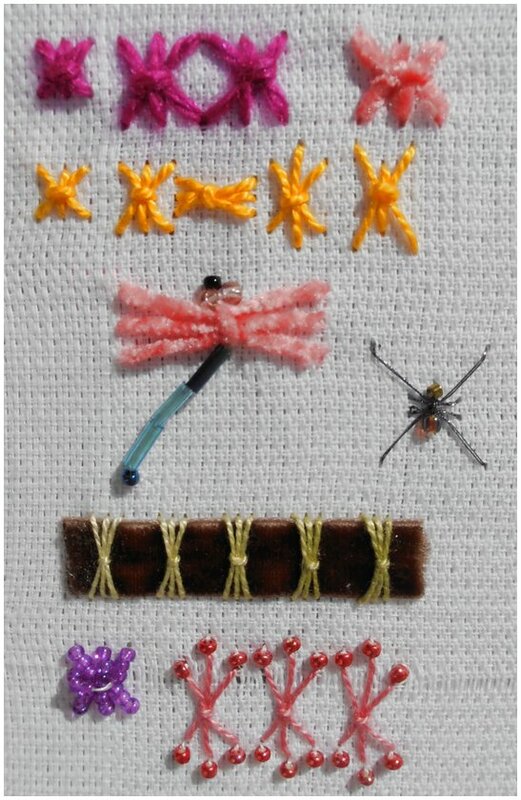 If you are interested you can find all the information at http://pintangle.com/tast-faq/ Newbies and advanced embroiders are always welcome. I am always amazed at your creativity; the trees you have made with linked double chain and sheaf stitch, they are great! My busy ‘holiday’ has not given me much time to be creative and I am looking forward to ‘slow life’ once again. Thank you Queenie. Holidays don’t come often so enjoy yours while you can, You will be relaxed and fresh for your catch-ups soon. It looks like you really had fun with this! So creative and varied. Very impressive! I had some time to play Julie so it was fun. OH! There are too many wonderful examples here!!! Bugs, trees, flowers, oh my! Wonderful! I love your tree Maureen, you always stitch beautiful tree’s (I still have mine, pride and joy)….. 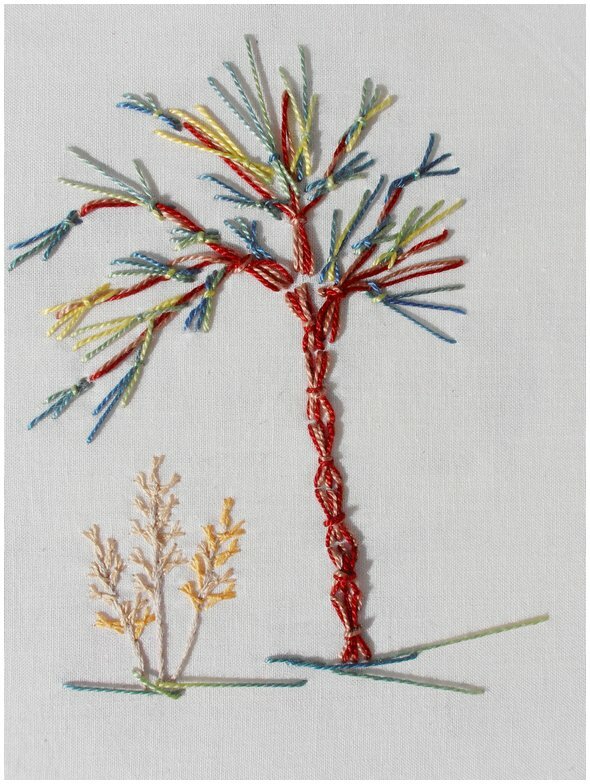 I enjoy stitching or seeing trees, Sandie. Love the tree trunk and the bugs.beautiful stitching and ideas Maureen,well done! 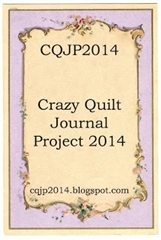 I’ve finished the block for the CQ which I’d told you about, working different seam treatment samplers now,will show it to you soon.